Many patients aren't aware of the differences between Optometrists and Ophthalmologists. 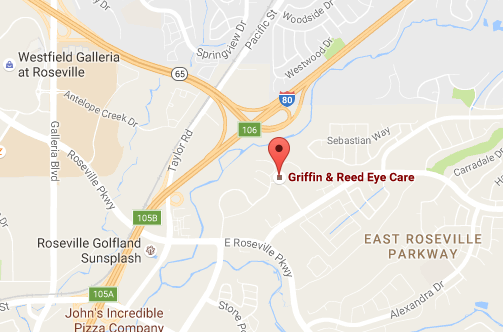 At Griffin & Reed Eye Care, our Optometrists and Ophthalmologists work closely with each other to provide optimum patient care. Ophthalmologists are physicians who perform laser vision correction, other types of refractive surgery, and diagnose and treat eye diseases and injuries. Like Optometrists, they also examine eyes and prescribe eyeglasses and contact lenses. Ophthalmologists are licensed by a state regulatory board to practice medicine and surgery, including Laser Vision Correction. Refractive surgery is surgery that corrects visual acuity, with the objective of reducing or eliminating the need for glasses and contacts. Refractive surgery includes PRK, LASIK, and corneal implants. During refractive surgery, an Ophthalmologist alters the shape of the cornea in order to change the angle at which an image is projected onto the retina. Optometry is the science of eye care concerned with vision problems and eye disease. Optometrists, also known as doctors of optometry, or ODs, provide most primary vision care, including examination of people's eyes to diagnose vision problems and eye diseases. They also test patients' visual acuity, depth and color perception, and ability to focus and coordinate the eyes. Optometrists prescribe eyeglasses and contact lenses and provide vision therapy and low-vision rehabilitation. Optometrists often provide preoperative and postoperative care to cataract patients, as well as patients who have had Laser Vision Correction or other eye surgery. Optometrists must complete at least 3 years of study at an accredited college or university before beginning optometry training; however, most optometry students have a bachelor's degree or higher. Next, they must attend an accredited 4-year optometry school and after graduation, they must pass written and clinical state board examinations. Some Optometrists go on to obtain a master's degree or Ph.D. in visual science, physiological optics, neurophysiology or public health. A 1-year postgraduate clinical residency is available for Optometrists who want to specialize in the areas of contact lenses, family practice optometry, hospital based optometry, geriatric optometry, ocular disease, pediatric optometry, primary care, or vision therapy. After completing 4 years of undergraduate study at a college or university, Ophthalmologists attend 4 years of medical school to obtain an M.D. or D.O. degree. After graduating from medical school, they complete a 1-year internship and 3 years of training in Ophthalmology in a residency program approved by the Accreditation Council for Graduate Medical Education (ACGME). Following residency, Ophthalmologists may enroll in a 1- to 2-year fellowship program. A fellowship offers the opportunity to develop expertise in a subspecialty such as corneal diseases, retina and vitreous diseases, glaucoma, pediatric eye problems, and plastic surgery. Dispensing Opticians fit and adjust eyeglasses and may fit contact lenses according to prescriptions written by Ophthalmologists or Optometrists. Find out more about our Optometry services and how we can improve your vision with the latest eye technology. 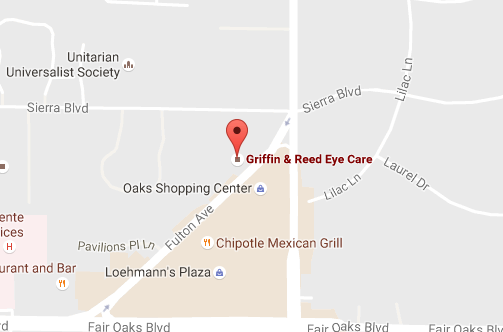 Call the Sacramento or Roseville, California office of Griffin & Reed Eye Care today at (916) 485-2020 or book an evaluation online.